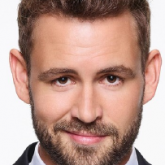 What Soft Skills Can Recruiters Learn From The Bachelor? Recruiters might cringe at the thought of watching The Bachelor to learn a few tips and tricks when it comes to hiring top talent, but there may be some lessons to learn. Like the bachelor, hiring managers are always on the hunt to find the perfect candidate that exceeds their expectations - but is every candidate (or contestant!) as perfect as they may seem? Below are four soft skills that recruiters and hiring managers should look for in a candidate to ensure they are the right fit - before they decide to hand over their final rose. Recruiters may have a hard time dissecting whether their candidate is passionate about their interests, the industry, and/or the position. How does a recruiter measure passion? The answer is easy – ask the right questions. Aside from the position itself, ask the candidate what they’re passionate about and how they continuously feed their passion while managing their time with a nine to five job. When listening to their response, pay attention to their hobbies, gauge what thrills them, and listen closely to their ability to maintain a work-life balance. “Most companies are hiring talent based on soft skills like attitude and hard work, with the hope that they can train them to be up to par on things like tech skills and industry knowledge," said Davis Bell, Instructure's VP of Corporate Markets. Therefore, if a candidate seems eager to learn but lacks industry experience, don’t be in a rush to cross them off your list. Living in a house filled with women who are dating your significant other is clearly not an easy feat. With time, bachelor contestants learn to adapt to their environment, while others break under pressure. Situational questions are a great way to identify whether a candidate is adaptable and ready to tackle a difficult situation. To assess whether your candidate is adaptable you may want to ask them to tell you about a work-related situation in which they had to adjust to a major change. Listen to how they describe the situation and pay close attention to their overall outlook on what occurred. Did they speak about the change in a negative way? Were they open to the adjustment? Bachelor fans are aware that the first impression rose holds a lot of weight and contestants go to great lengths to catch the bachelor’s attention. However, it doesn’t always lead to an engagement. Much like the recruiter, a candidate may seem flawless during the first interview although, it doesn’t always guarantee an offer letter at the end of their journey. Creativity is an essential soft skill recruiters should remember to look for. A question you may want to ask is “tell me about a suggestion you made to improve processes/operations within your role and/or your department. What was the result?” Give the candidate the opportunity to share an idea they once had along with how they implemented the process to identify whether their creative idea was supported with an execution strategy. According to Hiring Insights, 80 percent of hiring managers and 84 percent of recruiters agree that hiring the right people has a direct impact on a company’s ability to achieve their strategic goals. Hiring innovative employees will not only benefit their immediate department but it will positively affect their company. Throughout various seasons of The Bachelor, many of the contestants who lacked emotional intelligence were sent home. Similar to recruiting, when vetting job candidates, recruiters look for those who work well with others and weed out job seekers who might have a hard time communicating their concerns and/or sharing constructive criticism. Emotional intelligence describes a candidate’s social awareness and self – management capabilities. In the workplace, it’s critical to hire an employee who is self-aware and responsible for their actions. A question you may want to consider asking is “can you teach me something, as if I’ve never heard of it before?” A candidate’s response to this question may reveal whether the candidate has the technical ability to explain something, if they are willing to think before they dive into their explanation, and if they’re constantly checking in with the recruiter to make sure they are on the same page. Rather than wasting time, money, and effort to schedule a phone screen or conduct an onsite interview, video can be used to quickly identify good-fit talent based on their displayed creativity, professional presentation, communication skills, and passion your company needs to succeed. Put simply, recruiters need to learn how to read in-between the lines and look past a candidate’s pristine resume. Recruiters should never underestimate the value of soft skills.